In my early how-to-embroider reading I ran across a lot of "order prewound bobbins" and you may recall that box of a gross of bobbins, which IMMEDIATELY after ordering I realized I was gonna sometimes need non-white bobbin thread (for conventional embroidery the bobbin thread should never show but, uh, I am unconventional). So I bought a spool of black bobbin thread and grabbed one of my empty bobbins and... then immediately ordered a box of multicolored bobbins. 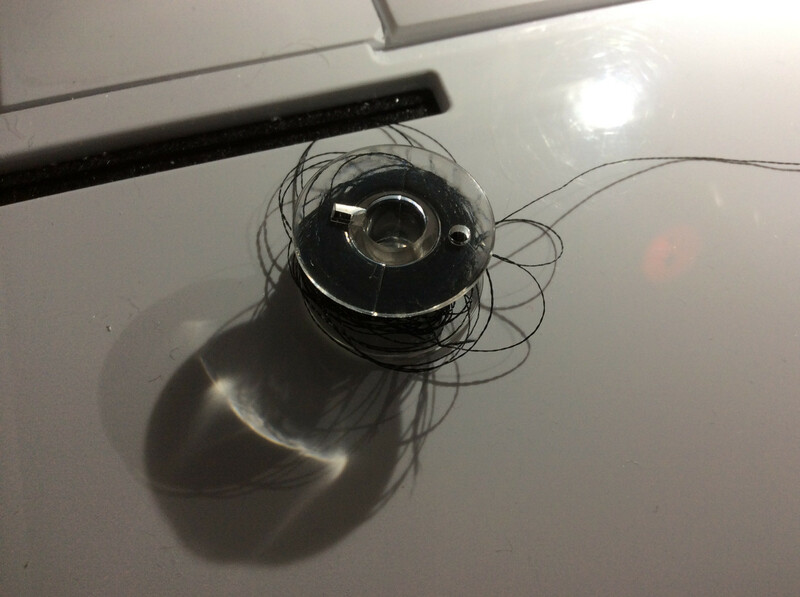 @silverseams that bobbin hurts my soul.